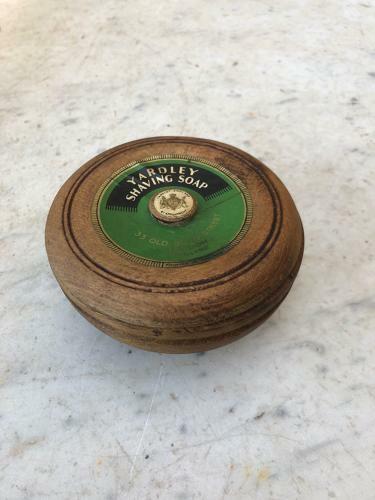 Lovely little 1930s Treen Container with Lid - Original Label for Yardley Soap. YARDLEY SHAVING SOAP. 33 OLD BOND STREET. LONDON. ENGLAND. Central Knob YARDLEY ENGLAND BY APPOINTMENT with Royal Crest.